HAS BEEN LIFTED on Tuesday, 09/6/2018 at 2:00 pm. Please check back for updated status. MISSION: We provide fire and rescue services under contract to North Blanco County Emergency Services District, who provides tax supported revenue to us. We service an area of 600 square miles of northern Blanco County, with a population of 4,000 people. Our response district encompasses the Johnson City Independent School District & the communities of Johnson City, Round Mountain, Hye and Sandy. Our territory includes 3 major highways, LBJ National Park, Pedernales Falls State Park, and one of the top hunting and scenic areas in the State. Note: EMS services are provided by our sister organization, North Blanco County EMS (www.NorthBlancoCountyEMS.org). ORGANIZATION: We are an IRS 501-c-3 tax exempt, non-profit organization. We have an elected 4 member Board of Directors from within the membership. The Fire Chief reports to this Board, and is in charge of Operations. MEMBERSHIP: We have 24 members. All of our fire personnel are volunteers. We have a very active group on non-fire volunteers who assist with the administrative needs of this organization. MEETINGS: We meet on each Wednesday at 7:00 pm at the Fire Station. Training on the 1st, 3rd and 5th Wednesdays, and Business Meeting on the 4th Wednesday. LOCATIONS: We have a single location, which houses our fire apparatus, administrative offices, day/night staff crew quarters, and training center. We are located in Johnson City, the birthplace and hometown of President Lyndon Baines Johnson. We are located in the heart of the Central Texas Hill Country, and are approximately 50 miles west of Austin, our State Capitol. 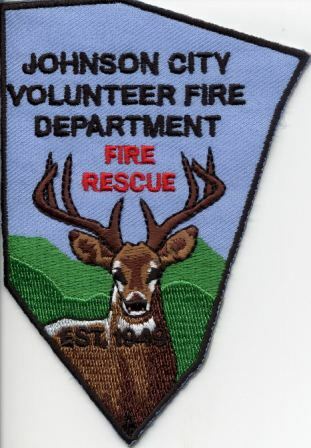 The Johnson City Volunteer Fire Department and North Blanco County EMS responded to a water rescue call at Pedernales Falls State Park on Wednesday the 25th, 2007. The call came out as two people in the water. Upon arrival to the campgrounds all units had to continue on a gravel road. The units then reached the end of the road and all rescuers were then on foot for another 1/4 of a mile. The first fire unit then dismounted and went ahead of the main party. They had to cross a creek, which was chest high water, to get to the area where the people were. Due to the fact that no one had any contact with the victims or anyone on scene, Star Flight was requested. Pedernales Falls Park staff accompanied the firefighters across the creek. This website is dedicated to providing timely information to our members and the public. We welcome any suggestions for improvement of the website and our organization. This site designed & maintained by Cofran & Associates, Inc. Copyright © 2012 All rights reserved.